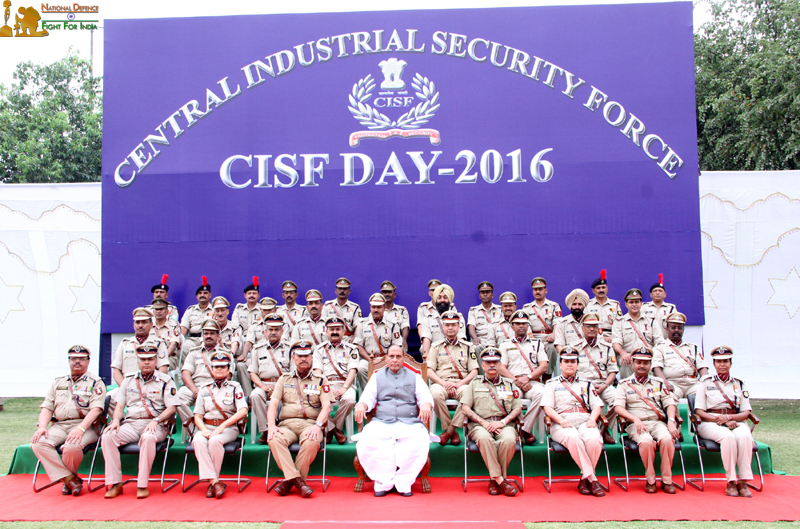 The Union Home Minister Rajnath Singh today exhorted the Central Industrial Security Force (CISF) to gear up to face cyber security threats. Addressing the 47th Raising Day Parade of the CISF in Ghaziabad today, Rajnath Singh underlined that cyber security breach and hacking are emerging as major security concerns since cyber threats is only the new aspect of terrorism. Rajnath Singh said India is among the world’s ten big economies and in a couple of years our economy will balloon from two trillion dollars to $5 trillion, a fact forecast by leading international analysts. Those inimical to us don’t like this and therefore they plot to attack soft targets such as our strategic assets and vital installations, he added. The Union Home Minister said the CISF has to draw upon its core competence to be at the vanguard of the security of such high-stake assets including the airports, Delhi Metro, nuclear power plants and other high value installations. Rajnath Singh said the CISF, with its motto of Security with Smile, is an equal partner in India’s progress to development. Lauding the CISF for its professionalism in different theatres including deployment in Left Wing Extremism affected regions, the Union Home Minister said the force is providing security consultancy services to 126 private sector companies as well and earned a revenue of Rs. 7 crores per annum as a result. Rajnath Singh also hailed the CISF for being the forerunner among all the Central Armed Police Forces (CAPFs) so far as representation of women is concerned. Addressing the gathering, Director General, CISF, Surender Singh said, on the directions of the Union Home Minister, the force has been undertaking security audit of various assets under its command every four to six months. 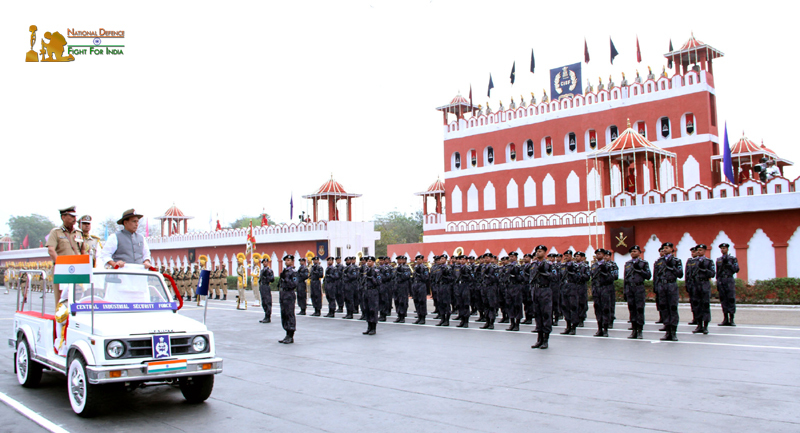 On the occasion, Rajnath Singh inspected the Parade and took salute of the march past. He also presented medals to meritorious CISF Officers and personnel and released the CISF magazines ‘Sentinel’ and ‘Sanrakshika’.